CAFOD is mourning the death of Sr Maura O’Donohue, who from 1987 led its pioneering response to the escalating global HIV and AIDS pandemic. The Irish nun, who was a qualified doctor and a member of the Medical Missionaries of Mary, had been suffering from leukaemia for some months. Her funeral took place on Wednesday following her death on Sunday 3 May 2015. Sr Maura’s work as a missionary doctor took her to 83 countries. When CAFOD began to highlight HIV and AIDS as a major development issue and was at the cutting edge of education, advocacy and project funding in every continent in response to the crisis, Sr Maura was at the heart of this vital response, which CAFOD considers one of its finest hours. Maura managed CAFOD’s budget for Church-based HIV care, including counselling and testing, information and education projects, and support for children orphaned by AIDS. By 1994, CAFOD was not only managing 95 of its own HIV-related projects, but also a further 60 projects on behalf of other Caritas and CIDSE agencies, in 36 countries in Africa, Asia, Eastern Europe and Latin America. Working closely with Fr Bob Vitillo at Caritas Internationalis in Rome, Maura targeted national and regional meetings of bishops’ conferences, conferences of religious, Caritas networks, diocesan meetings of priests and religious, seminaries and theological institutes in Africa, Asia and Latin America, to raise their awareness of the reality of HIV and to canvass their support for Church-based responses. She supported the work of the emerging UK Consortium on AIDS and International Development (UKCAID), founded in 1986, and CAFOD was one of the first agencies to fund its work and become a member. The UKCAID is now a strong network of 80 members and is regarded by DFID, UNAIDS, the World Bank, WHO and other international bodies as the sole portal for NGO consultation and for seeking their collaboration on strategy and programme development on HIV-related matters. 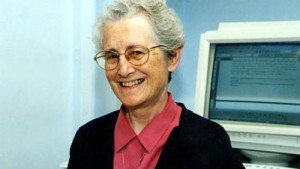 When Maura resigned in 1997, CAFOD had been an influential actor in the global response to the HIV pandemic for ten years. From 1987, Sister Maura led CAFOD’s pioneering response to the escalating global HIV and AIDS pandemic. For a decade CAFOD highlighted HIV and AIDS as a major development issue and was at the cutting edge of education, advocacy and project funding in every continent in response to the crisis. Sr Maura was at the heart of this vital response, which represents one of CAFOD’s finest hours. Maura O’Donohue was a wise, gentle, eloquent and persuasive medical doctor and ‘an MMM’ – a member of the religious congregation the Medical Missionaries of Mary. Dedicated and doggedly persistent, she was an example of God-centred religious life. This was manifest in her life-long commitment of unconditional service to the vulnerable and exploited – whether they be families facing famine, war-torn communities, children orphaned by AIDS, people living with HIV, trafficked women or victims of sexual abuse. In 1988, after considerable deliberation, CAFOD’s Board accepted that AIDS was by then not simply a health concern, surrounded by stigma and controversy, but rather a major challenge to the whole development process, and potentially the single biggest threat to Africa’s development. Alongside CAFOD’s three continental programmes (Africa, Latin America and Asia) an AIDS programme was established on an equal footing, and Sr Maura was recruited to head it up. This was long before most secular agencies and other faith-based NGOs recognised HIV and AIDS as a serious problem and a risk to their development plans. Maura’s far-sightedness and breadth of vision were among her strongest gifts and these served her well as she worked with the Catholic Church in dozens of countries to mobilise an effective response to the many and varied challenges posed by the HIV pandemic. So, as early as the mid-1980s, she was able to anticipate the devastating effect that HIV and AIDS would have on the social and economic development of many of the poorest countries and communities for decades to come. She always looked beyond the obvious or immediate to identify underlying causes and related effects – particularly issues of poverty, powerlessness, injustice and gender – of the virus that was beginning to take its toll, most evidently in those countries of East Africa which she already knew well. Maura was acutely aware that the Catholic Church could be either a part of the problem or part of the solution, with regard to HIV. From the outset she was determined to ensure Church-based responses were an effective and significant part of the solution. CAFOD set aside a major budget allocation, which was managed by Maura. It funded Church-based HIV care, counselling and testing, information and education projects, and support for children orphaned by AIDS. By 1991, CAFOD was supporting 89 HIV-related projects in 18 countries within Africa, Latin America and Asia. By 1992, CAFOD had formed a network of the major Caritas, CIDSE and Missio agencies and persuaded them to fund HIV projects within their wider portfolio. In many instances, CAFOD managed such funding on behalf of other agencies less confident in this thematic area. By 1994, CAFOD was not only managing 95 of its own HIV-related projects, but also a further 60 projects on behalf of other Caritas and CIDSE agencies, in 36 countries in Africa, Asia, Eastern Europe and Latin America. But the key issue was convincing key leaders and gate-keepers at national and international levels within the Catholic Church to come on board. To this end, and working closely with Fr Bob Vitillo at Caritas Internationalis in Rome, Maura targeted national and regional meetings of bishops’ conferences, conferences of religious, Caritas networks, diocesan meetings of priests and religious, seminaries and theological institutes in Africa, Asia and Latin America, to raise their awareness of the reality of HIV and to canvas their support for Church-based responses. Maura and Bob criss-crossed the globe and worked opportunistically to gain initial support from such power-brokers, demonstrating a remarkable ability to turn up in unexpected places and apply friendly yet firm powers of persuasion. At this early stage, theirs was something of a scattergun approach, sowing seeds wherever they could in the hope that some would take root. Where they won the support of these decision-makers, their next step was to provide in-depth seminars and training workshops for clergy, religious and lay people engaged in Church-based pastoral work, whether as strategists or practitioners. Maura and Bob wished to ensure that Church-based engagement with the challenges of HIV formed part of a wider multi-sector response. To this end Maura established relations with the fledging Global Programme on AIDS, now UNAIDS, and with key people in WHO and other UN agencies. At a time when most UK-based development agencies were oblivious to how relevant HIV was to their work, Maura assiduously promoted CAFOD’s assertion that HIV is a development issue which affects all other development work and that all international development agencies needed to respond to this as a matter of urgency. In all of this, Maura’s breadth of vision led her to broadcast time and again what she considered to be core issues linked to HIV; poverty, abuses of power and powerlessness – particularly the economic, social and sexual powerlessness of women – and injustices against individuals and between countries that heightened vulnerability to, and the impact of, HIV. This often fell on deaf ears within an international community more intent on offering a solely medical and sexual health response to what they deemed an exclusively medical problem. It also led her to name abuses of power that many would have preferred to keep hidden, and this within the Church as well as in the secular sphere. In the course of her HIV-related work, Maura built up a dossier of evidence of sexual abuse of religious sisters by priests in many countries and continents. This was documented in a report presented to the Vatican authorities with the assistance of Cardinal Hume – where it was received with gratitude and with encouragement of follow-up by papal nuncios and bishops in the respective countries where these situations were prevalent. Maura inspired and guided the formation of a Working Group of the Unions of Superiors General, consisting of the heads of religious orders of religious sisters, brothers, and priests. The group examined issues related to their own members who were living and dying with AIDS, and ensured that their policies and practice had a foundation not only in scientific and medical knowledge, but also in theology; compassion and non-judgemental care. It had provided highly- acclaimed leadership in its role as liaison agency for HIV within Caritas and was well-known for promoting solid theological reflection on this immensely controversial field of work. This was exemplary Caritas collaboration; with Maura working through and with her indefatigable co-advocate Fr Bob Vitillo. Indeed CAFOD was greatly respected for all this HIV-related work both among its peer Catholic agencies and in the wider NGO and UN sector. In the end, this was down to Sr Maura and the first class team she built up in London. As they say: “She made a difference.” A colossal difference! A couple of years later, Maura returned to CAFOD once more and worked with the emergencies team from 1999 to 2005. This involved many courageous missions to disasters and areas of conflict. She always offered her support in the most dangerous places and never said no. Her first work was in response to the Orissa cyclone in 1999 where 10,000 people died, helping to run the CAFOD/Caritas India programme. In Mindanao, Philippines she worked to support vulnerable families living in an environment of conflict, violence and insecurity. Maura was one of the first on the ground supporting the Catholic Church setting up health facilities. She travelled regularly to Grozny in Chechnya during the Russian siege – at a time when nobody else would travel there – to provide support to Islamic Relief in managing mother and child centres and food kitchens for the most vulnerable. During early 2000, she supported Caritas Iraq in establishing child care clinics and after the invasion in 2003 was one of the first aid workers in Baghdad delivering nutritional support programmes for the most vulnerable and war-affected. She was never not travelling and in any gaps that emerged she travelled to support the CAFOD emergency food programme in Zimbabwe and drought programmes in Kitui and northern Kenya. At the centre of her work in emergencies was her love and care of children affected by the brutal reality of war and conflict, and the support to women as they struggled to care for their families. She was also the most amazing team member and the emergencies team of six during her time at CAFOD still recount the stories of her sneaking across the border into Iraq, travelling by motorcycle along with a family of six, being surrounded by four heavily-armed bodyguards in Chechnya, providing love and care to her colleagues working in difficult environments and always having time to listen to everyone and ask about the individual. But it was her passion and faith that most affected those around her and will live on in those she trained, worked with and supported. Never one to tire, Maura then took up the cause denouncing and eliminating human trafficking, an issue with which she first became familiar during visits to Asia. Here, she found the tragic situation that many women engaged in providing so-called ‘sexual services’ were, in fact, held in forced and inhuman conditions with absolutely no respect for basic human rights. These women were highly vulnerable to infection with HIV and many other sexually transmitted diseases. The issue of human trafficking became an important element in Maura’s HIV education programmes. In most recent years, Maura served as a key contributor to COATNET, a global network of faith-based organisations dedicated to combatting human trafficking. She also joined religious sisters in Ireland to advocate for more effective action against human trafficking and greater protection of trafficked persons in her home country. As Maura now prepares to join the blessed communion of those who have gone before, marked with the sign of faith and following in Jesus’ footsteps giving her life so that others may live, we can join the heavenly hosts in singing: For all the saints, who from their labours rest, who thee by faith before the world confessed, thy name, O Jesus, be forever blest. Alleluia, Alleluia!